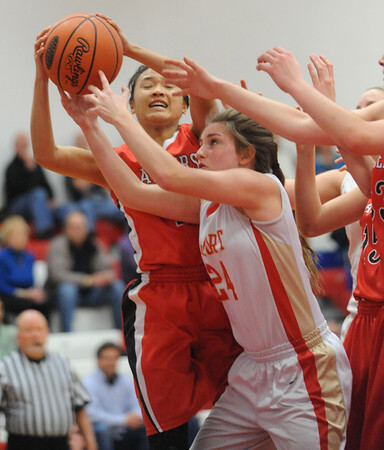 Neshannock's Stephanie Paras and Bishop McCort's Aunna Yingling fight for a loose ball. Friday, March 4, 2016. John Rucosky/The Tribune-Democrat, Johnstown, Pa.